Rev.Fr Joe E. Wickremasinghe took over the Rectorship in 1978 and steered the College for 16 years. He transformed the school into a modern institution and raised its profile academically,in sports and discipline. He built the Vocational Training Center complete with a modern Computer Lab, an audio visual studio, a three storieyed Science Laboratory building, the Swimming Pool Complex and new Primary School building. He created scholarship funds to support students entering University and established a Board of Administration to assist him in managing the school. It was during his Rectorship that the first branch school in Gampaha was opened .He also built a new Dental Clinic, a modern Canteen and a mini Zoo for the Primary School. Rev. Fr. Felician R. Perera took over the Rectorship in 2005. He guided St. Peter’s for 11 years and helped to maintain the high standards achieved during the term of Rev. Fr. Joe Wickremasinghe. new Library and a very tasteful Reading Pavilion for the students. He was also responsible for building the Sports Complex. Fr. Frelician would be most remembered as the Rector who founded the branch school in Udugampola. During his Rectorship great heights were reached in studies and sports. St. Peter’s dominated popular sports such as Rugby, Cricket and Tennis, while also being in the forefront in Basketball, Hockey, Football and Track & Field. Rev.Fr Travis Gabriel took over office in 2005. 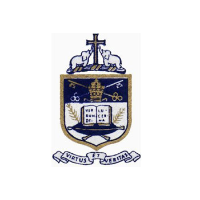 Under his able guidance St. Peter’s has further enhanced its reputation as a School of Excellence. Apart from maintaining high standards in education and discipline, St. Peter’s continues to excel in all forms of sports. The Joe-Pete Cricket Encounter was won by St.Peter’s after a lapse of 32 years. Currently St. Peter’s are National Schools Champs for Tennis. He has given priority to raising the academic standards at College. Regular seminars and training courses are organized for the Academic Staff in order to better equip them to mould the young Peterites for the future. He has made great efforts to help the Advanced Level students to carry out their daily classroom studies in a comfortable environment by building a four storey building. Another new addition to College was the opening of the State-of-the-Art Andradi Library, complete with lecture halls and a multimedia unit in 2012, the only one of its kind among schools. We can rest assured that St. Peter’s College is in very capable hands and on its way to becoming a true ‘School of Excellence’.